by domino - April 13th, 2015. Filed under: hardwood stairs refinishing, portland hardwood floors. 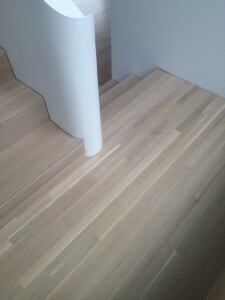 Tagged as: hardwood floor refinishing. 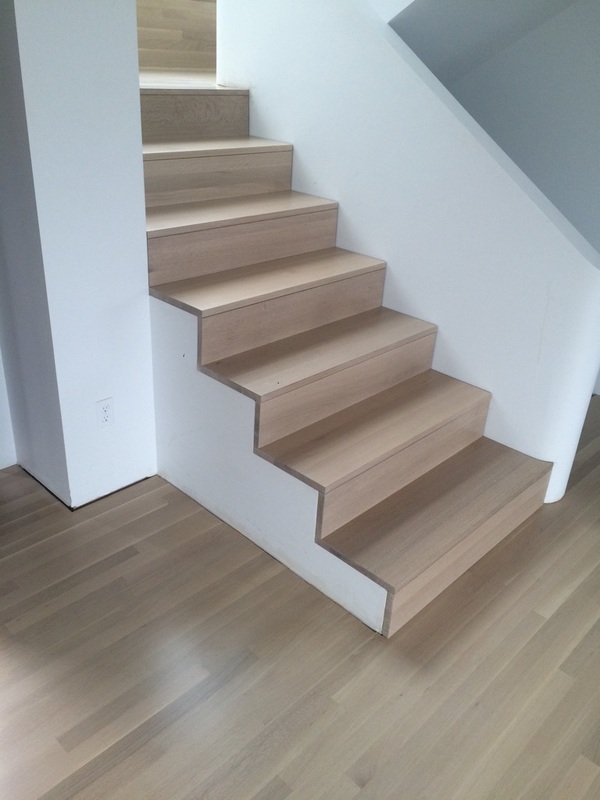 Using a rift and quartersawn white oak, we installed a floor and stairs in a private residence here in Portland. The floors are 2 1/4″ quartersawn white oak and were installed throughout the home. 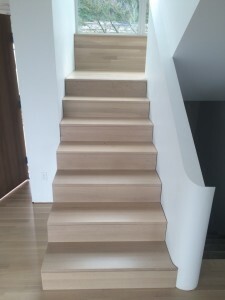 We used a custom white stain and Bona Traffic waterborne finish on the stairs, landings and flooring. Notice the beautiful curve of the last stair. 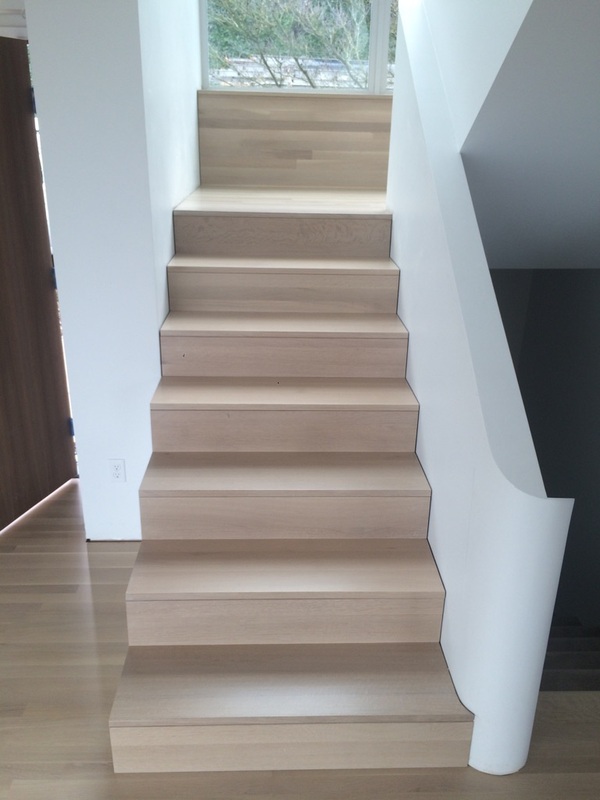 Let us help you make an informed decision about what hardwood floor is right for you. 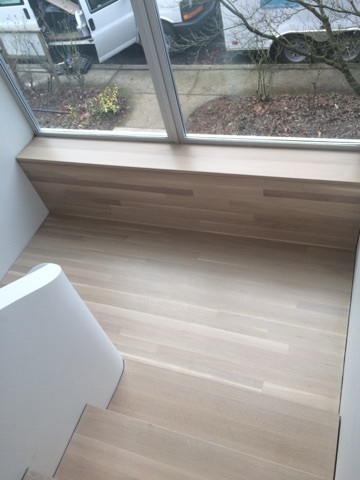 Call us today and let’s get started on your project: 503.245.3373 or visit our website for more information and photos on Hardwood Floor Installation and Refinishing.